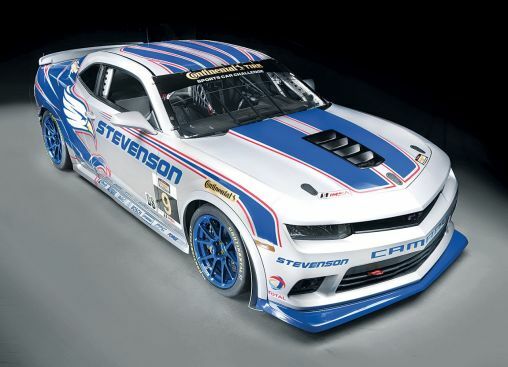 Some exciting news came out of General Motors today as they announced the Chevrolet Camaro Z/28 will return to its racing roots this week when the all-new Camaro Z/28.R race car debuts in a 2.5-hour endurance race ahead of the 52nd Rolex 24 At Daytona. It will be one of the most production-based competitors on the track, sharing aero, engine and even axle components with the new 2014 Camaro Z/28. The non racing version 2014 Camaro Z/28 goes on sale this spring and many Camaro enthusiasts have been waiting a long time for this event so sales should be spirited. This entry was posted in News, Racing and tagged Chevrolet Camaro Z/28, General Motors by northredline. Bookmark the permalink.